Susan, MSW, MBA, developed and managed programs for vulnerable families for over 35 years. She says, "At the end of my career I was an administrator for an NFP program in Pennsylvania. I knew that I had found the most life-changing program ever. When I later moved to New York City and found that the NFP program there had some unmet needs, I was hooked. Especially since my forte is building new programs from scratch." Chris, now retired as a psychotherapist, has long been concerned about the effects of poverty on the emotional health of mothers and babies. When she read the 2006 article Swamp Nurse in the New Yorker , she understood that evidence based Nurse Family Partnership could transform lives. She was invited to join the Community Advisory Board of New York City Nurse-Family Partnership and also the national Board of Directors (2013). Chris also serves on the Board of Directors of Citizens Committee for Children of New York, a research based advocacy organization. Susan Chinitz, Psy. D., is a psychologist and infant mental health specialist. She was formerly a Professor of Clinical Pediatrics at the Albert Einstein College of Medicine, where she directed the Early Childhood Center and the Center for Babies, Toddlers and Families. Susan supports NFP because of its strong track record of improving outcomes for children. She is also inspired by the nurses who do this work. She says, "their skill and dedication are remarkable, as is the very apparent imprint on the clients they serve." Henry is a civil litigator and immigration attorney at Rivkin Radler, LLP. Henry and his wife, April, have supported Nurse-Family Partnership for many years. They were inspired by the birth of their own children and the empirical data demonstrating the program's long-term positive effects on families. Ellen has had a career as an individual gifts fundraiser and has been a longtime board member of Summer Search NYC, a youth mentoring organization for low-income high school students. The organization helps guide them to college through summer trips and professional mentoring. Ellen sees Friends of NYC NFP as a natural extension of what she has been doing and is thrilled that it supports for moms and babies start in pregnancy. 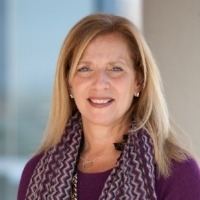 Hope has an MA in Communications from the Annenberg School and 35 years experience in non-profit development, working for major health care organizations in the greater New York City area. Most recently, she was Chief Development Officer for Lighthouse International and subsequently the Foundation Fighting Blindness, where she is a Senior Director. Phil Phillips has had a long and impressive career in finance, starting as a municipal bond writer for government and non-profit agencies and then spending almost 20 years as a Partner at Sanford C Bernstein and later an Executive Director at JP Morgan working on Defined Benefit Retirement plans. In retirement (only partial), he has enjoyed focusing on charitable activities in many capacities and often with a focus on youth. We are so glad that he was impressed by what we do and sought us out. College of Education. She is active in children's services, advocacy and education. She is a member of the Citizens' Committee for Children's Advocacy Council and serves on the News Literacy Project, New York Advisory Committee. NLP is a national education program that helps students sort fact from fiction in the digital age. She is also a member of the Executive Committee of Project Cicero, which collects and donates books to under-resourced New York City public schools. Until recently she was also on the board of Learning-Spring, a school for autistic children. Ariane is a health care lawyer and policy analyst who works with early- and growth-stage health startups on regulatory strategy, and serves as a Fellow at the Mossavar-Rahmani Center for Business and Government at the Harvard Kennedy School researching strategies and challenges around scaling innovative health service models. She first learned about Nurse-Family Partnership while working in the Center for Medicare and Medicaid Innovation during the Obama Administration and was immediately drawn to its empathy, impact, and underlying evidence.